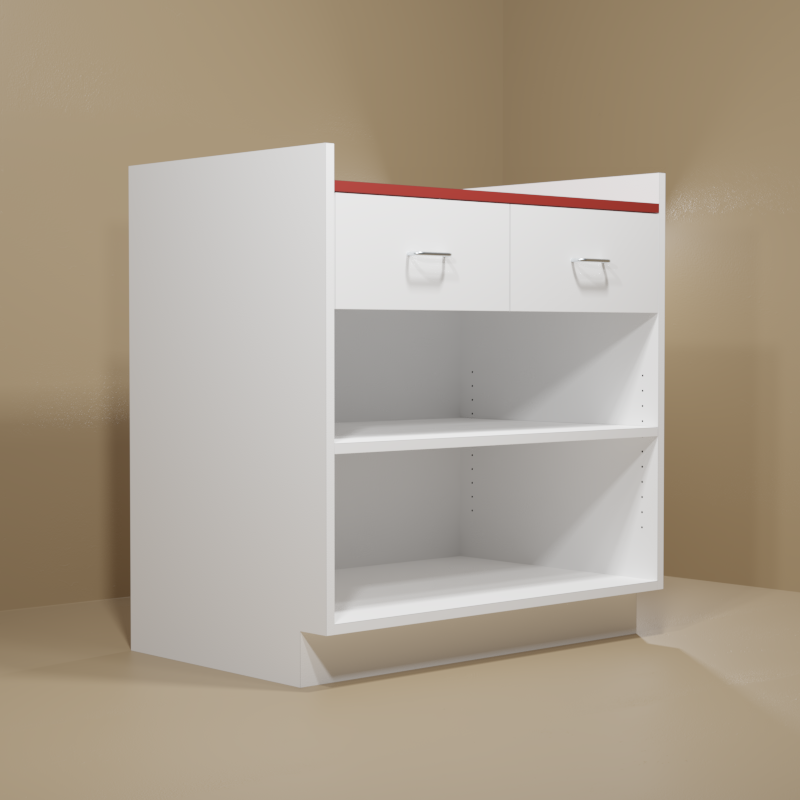 Heavy duty, top quality cabinets for medical and office facilities. Laminated surface and integrated kick plates for durability. Square edge tops with backsplash and adjustable shelf. PVC edges to prevent chipping. 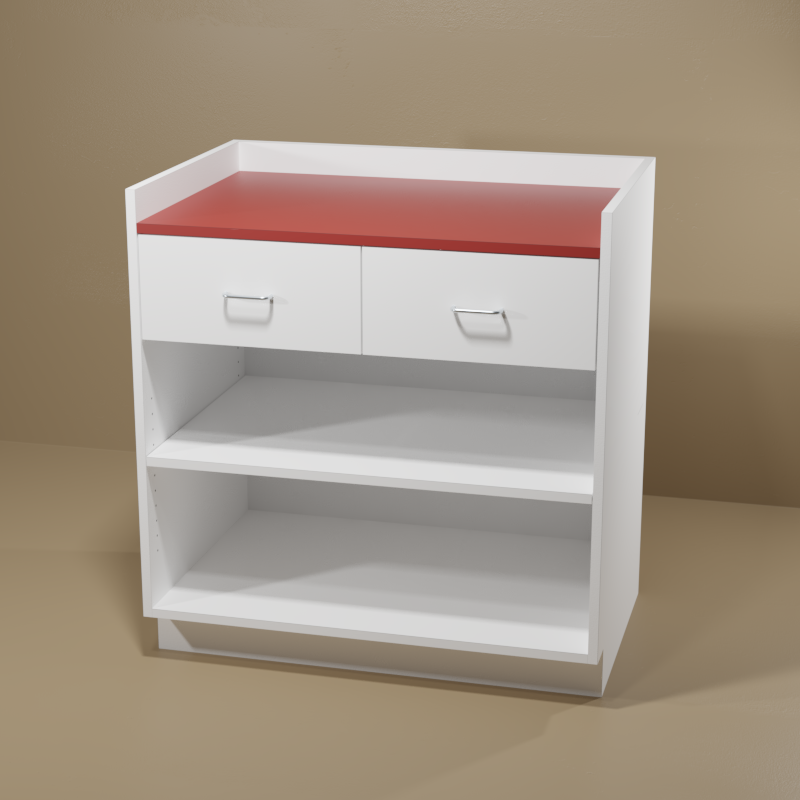 Satin wire pulls on drawers along with nylon roller slides for easy opening of drawers. All cabinets full assembled. 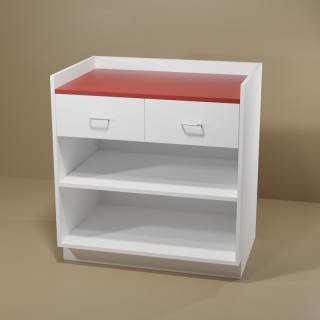 White base with red top. OTHER STANDARD COLORS AVAILABLE UPON REQUEST. Specify color.